3. Click Add Cost Centre. 4. A modal will be displayed where you can input details. a. This is where you input the name of the cost centre that you want to add to your library. b. Click Add if you wish to add another cost centre. It will display another row. c. Click Delete if you want to row. 5. After filling out the form, click Save. 6. A success message will be displayed. 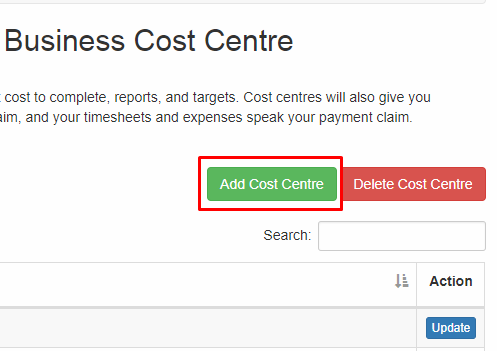 You can now view the newly added cost centre on the library.